A top notch professional job done on time and under horrible weather conditions. Have complete confidence in Integra-Clean & Dry. Scott and his crew are experts and a pleasure to work with." Marcia Y. Why Choose a Integra Clean & Dry Water Damage Contractors? At Integra-Clean & Dry, we offer water damage cleanup and removal. upon your call we will immediately send out a water damage specialists. Once we arrive we will start the water removal process. 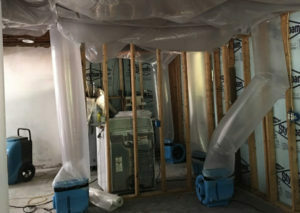 We are water damage contractors that use the best equipment to provide you the best water damage restoration service. Our basement water cleanup specialist are highly trained in the latest technologies and our equipment is state-of-the-art to provide the best service possible to out customers. Not only that, we have a caring team, from our receptionist to the last person to do a final inspection in your home, we show that we care about the safety of your home, completing the job properly and providing you with the best attention you can get. Flood Damage! If your home has had a flood and now you have water damage, you are looking for a reputable company that can get your home back into pre-damage condition quickly and safely. Our team can come to your home, do a complete assessment, work with your insurance company and do whatever is needed to secure your home, prevent further damage and start the drying and repair process. We will rebuild your home, so you and your family can return home as soon as possible. Whether you've discovered flooding from a broken or leaky pipe, damage from frozen pipes, a sewer line break, a sink or toilet overflow, or a malfunctioning appliance like a water heater, washing machine, dishwasher or refrigerator in your home, or you're a victim of storm damage, our flood damage technicians are equipped to handle any problem of any size 24 hours, day or night. Your family's safety is your and our highest priority. After an emergency all you want to do is get your home back to normal as quickly as possible, with as little damage of your home and property and interruption to your life as possible. Our company has many years of experience in restoring water damaged homes. We will come in and remove any non-salvageable materials immediately to stop the damage and immediately begin the drying process. This has to be done quickly so that the damage will be halted and limit your loss. We will then work directly with your insurance company to get the rebuilding process on the way, and take the hassle out of your life by handling as much as possible for you!We care about you, your home and your family and we'll help get your home back to normal as quickly, professionally and safely as possible. We care about your home and family! We guarantee it! Flooded basements and crawlspaces can present more challenges than regular room spaces. Aside from making your basement unusable, a basement flood can ruin your personal belongings and create a serious health and safety hazard. If you have water in your basement, you need answers. What caused the flood and how can you stop it from happening again? All basements are prone to flooding and there can be several causes behind the water in your basement. This could be a burst or leaking pipe, a leaking waste line, a broken supply hose for your washing machine, or a leaking water tank or water heater. Also, if your window wells fill with water, usually because of flooded yards or clogged gutters, don’t be surprised if water leaks into the basement through and around the windows. By far the most common cause of basement flooding is due to excessive amounts of rain, poor yard drainage and sewer backups are common culprits behind a leaky foundation. Serving the entire Bushkill area, we can get your basement water damage done quickly and professionally. We're happy to share our experience and answer your water damage restoration questions. Our company responds immediately to all emergency calls anytime of the day we're needed and we get there quickly to help stop further damage and the loss of homeowner's property. We then work directly with your insurance company to make this emergency you've encountered a little easier for you. We bill your insurance directly! We follow IICRC, NYC and EPA guidelines for all projects we're hired to manage and control. Our years of experience leave you in good knowledgeable hands and help to minimize damage and get you and your home back in shape quickly! Our teams are dedicated to serving our customers and easing the shock felt by home & business owners when a water emergency occurs. Our crews care about you and your home and it shows! We are there to stop further damage and get control of the situation for you! 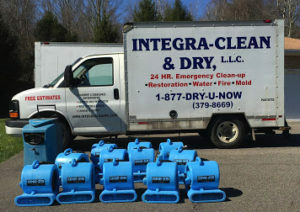 Integra Clean is available when you need help for Bushkill sewage cleanup. A problem with your sewer system can cause significant problems. In addition to the foul stench, an array of other problems such as fungi, viruses and other pathogens can create serious health hazards. If sewage problems remain untreated, they can cause major structural damage which can be highly expensive to repair. Our team of professionally certified experts at Integra Clean & Dryhave years of experience resolving various sewage cleanup and repair problems. We provide the best sewage cleanup and repair services in Bushkill for both commercial and residential customers. 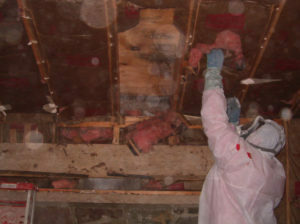 No job is too dirty or too big for out professionally trained and certified experts. When your home is being threatened by water damage from flooding or leaks, Integra Clean has the expertise to prevent or repair the devastating effects water damage can have in order to help preserve and restore your property. When you have an emergency water damage crisis on hand, call Integra Clean to handle all your water damage repairs. We provide services to all residential and commercial water damage victims in Bushkill and it’s surrounding areas. Contact us at 1-877-DRY-U-NOW and we will begin the process of getting your home back to normal and even better than it was before. We look forward to speaking to you! Bushkill is an unincorporated community in Pike County, Pennsylvania, United States. Portions of Bushkill were seized by the United States government during the controversial Tocks Island Dam project. Today, Bushkill is home to places such as the Bushkill Outreach. We provide water cleanup services throughout Bushkill PA, including 18324, 18371.